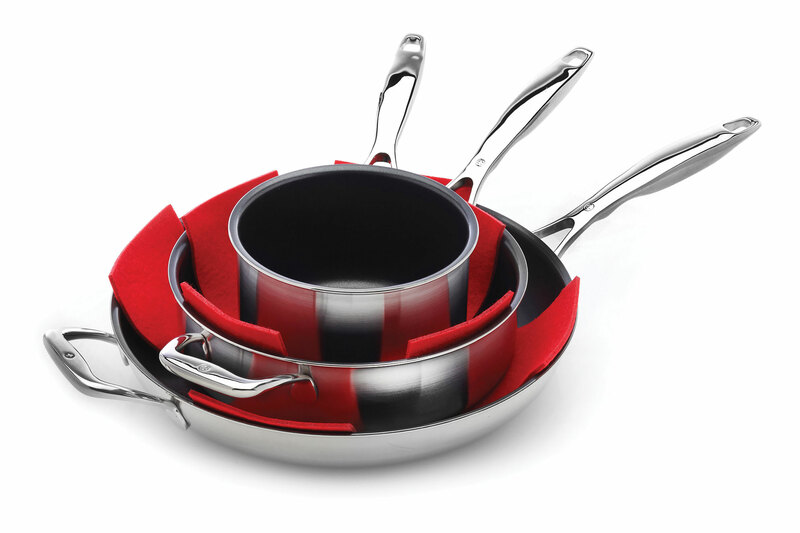 Swiss Diamond Pan Protectors are made specifically with our diamond coating in mind. 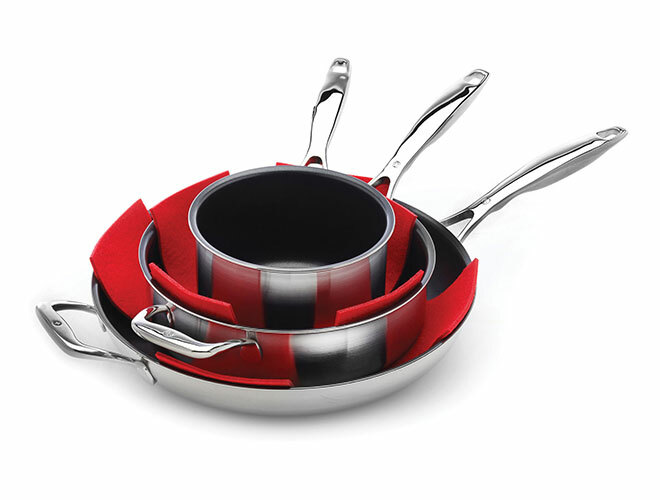 Carefully stack your pans and place a felt pan protector in between. 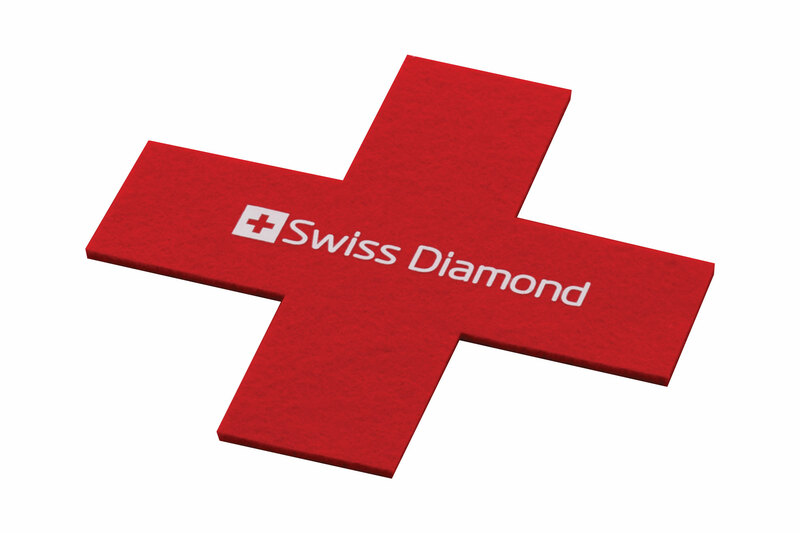 This will help keep the legendary Swiss Diamond coating in pristine condition. 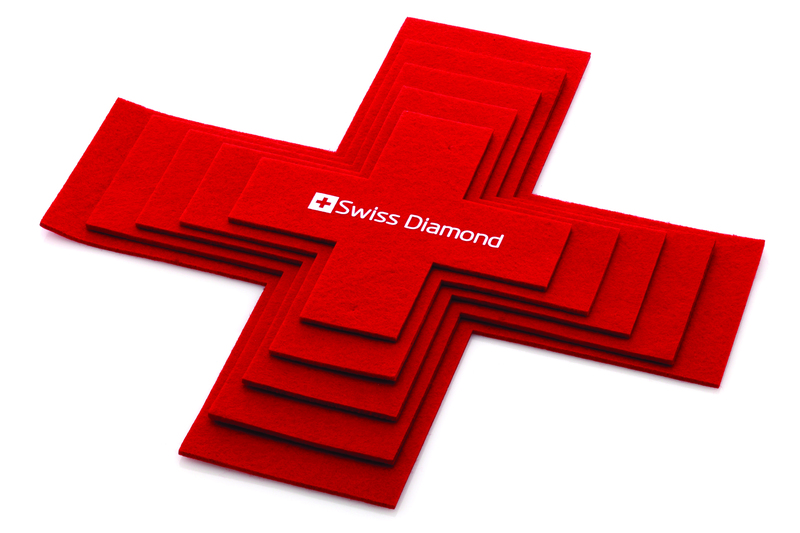 Designed in the shape of the Swiss cross.